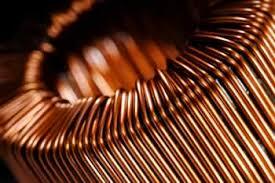 COPPER: WERE THE ANCIENT EGYPTIANS CORRECT IN THEIR BELIEF THAT COPPER IS THE GREATEST MAGIC BULLET IN THE FIGHT AGAINST AGING? We know copper is an important element in maintaining health, but anti aging? Scientific studies are making just such claims. Reduced inflammation and collagen and elastin boosting properties are being touted which maintain the strength of the skin, and promote the production of skin-plumping hyaluronic acid.” (Translation: less sagging and fewer lines.) “It also has antibacterial and antifungal properties” according to Mount Sinai’s Department of Dermatology. There are many products on the market with copper as an ingredient such as Blue Copper 5 Firming Elasticity Repair cream ($85) and Blue Copper 5 Prime moisturizer ($138)by Osmotics. StriVectin SD Advanced Intensive Concentrate for Wrinkles & Stretch Marks ($79), Perricone MD Blue Plasma Orbital ($65), Ole Henricksen Ultimate Lift Firming Serum ($55), and Kiehl’s Powerful Wrinkle Reducing Cream ($52). Because I love my GM Collin products from Leah Nickie Advanced Aesthetics , I’ve chosen to get my Copper fix another way. I have ordered and just received my Iluminage satin pillowcase embedded with microscopic copper particles, which are absorbed by the skin while you sleep! It cost $60 fromBergdorf Goodman’s. Illuminage claims since the pillowcase fibers are carefully embedded with Copper Oxide, derived from a well-known essential mineral- that we can expect reduced appearance of wrinkles and smoother, younger-looking skin in as little as 4 weeks – with a continuing effect over time.I received mine today and will report on progress! FYI : it is a standard pillowcase which can be machine washed.